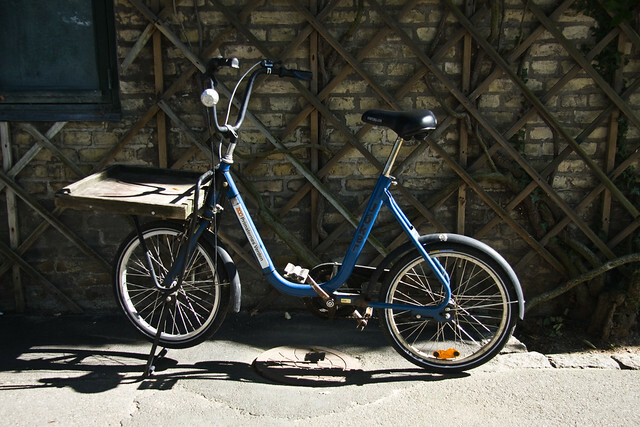 One of the many bicycles at the Copenhagen Zoo. This one, according to the sticker, belongs to the World of the Primates. 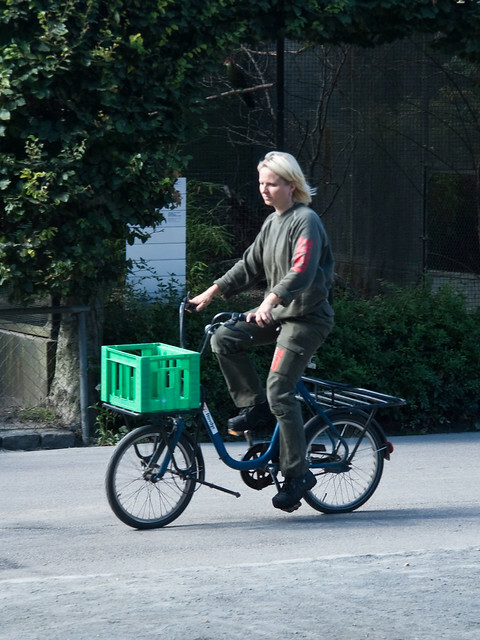 Cool, funky and practical bike for the zookeepers to use. Ironically, these mini-bikes are all the rage among 20-something fashionistas in the city. Oh, and zookeeper cycle chicsters who work at the carnivore department.